Being as clumsy and absent-minded as I am, I try to refrain from wearing light-colored clothing as it tends to get dirty fairly easily. 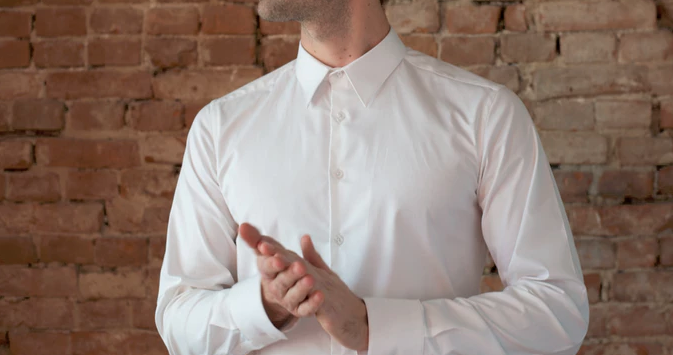 White button-up shirts have always appealed to me, I remain reluctant to blow money on attire that I will end up irreparably staining within a week or two. So when Amsterdam-based fashion startup Labfresh reached out to let me know they’ve designed a self-cleaning shirt that withstands staining and repels sweat, my curiosity was immediately piqued. Since I was a little skeptical to take their word for granted, I agreed to try out one of their shirts. Two weeks later, co-founder Lotte Vink swung by our office to showcase their product – and she brought along a bottle of red wine for a quick demonstration. Without any hesitation, Vink opened the bottle and confidently proceeded to pour wine all over the shirt. Unlike regular textiles, the liquid didn’t instantly sink into the fabric; instead, it rolled right off the shirt, leaving a few drops of wine that quickly rinsed off once water was applied. Then she did it again and again, and the result stayed the same: The wine simply washed off the shirt, leaving no stains whatsoever. Vink told me that in addition to this, the shirt is also odor-proof, wrinkle-resistant, fully breathable and quick to dry out. Then she left the shirt to me to experiment with and asked me to get back to her with some feedback once I’ve had a chance to wear it for a few days. Excited to do some testing, I headed home, dressed up inappropriately well, and proceeded to cook myself a messy dinner sporting the Labfresh shirt. My intention was to test how well the fabric handles horrible ketchup and mustard stains, but I accidentally cut my finger as I was opening a can of tuna and spilt blood on the left sleeve of the Labfresh. Much like with wine, the blood rinsed straight off the shirt with just some water. It survived my ketchup and mustard tests in the same effortless way. Stain-repellent textiles are by no means a novel concept, and startups like Ably, Wonderous and SilverTech have already treaded down that lane. What Labfresh does differently, is apply the technology to woven fabrics and make them more wrinkle-resistant. “We are not adding a coating, which means we keep the premium feeling of the fabric instead of making it feel like a raincoat. This is much harder to do than to make something 100% hydrophobic [which is the technology the previously mentioned companies rely on],” Vink further added. Labfresh just launched its Kickstarter campaign where you can check out how the textile actually works and find more details about the fabric. You can also pre-order one of its self-cleaning shirts for €99 (approximately $103), before it eventually retails at €119 (approximately $125). If the crowdfunding campaign reaches its goal, Labfresh has plans to expand its range of products with new models and additional colors in the near future. 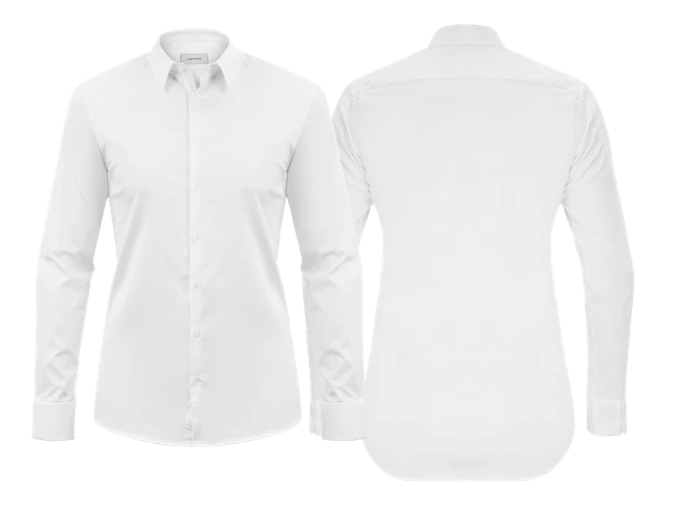 At €99 (and €119 later at retail), the Labfresh shirt is by no means cheap. But there’s a particular sense of comfort in wearing a piece of clothing that you don’t have to constantly worry about getting dirty and stinky – a luxury I personally find myself willing to pay for. Head to this page to support Labfresh on Kickstarter.